Gudrun Gut is used to juggling a variety of projects. Such multi-tasking has to a large extent become second nature to her. Just how she manages to coordinate her weekly radio show „Oceanclub Radio“ for the Berlin station Radio Eins, her work as label manager at Monika Enterprise and extensive travels as a DJ remains her secret.Perhaps more so than any other artist, Gudrun Gut is rooted in the Berlin musical underground. She is a founding member of the Berlin bands Mania D., Malaria! and Matador and long before the wall fell she was a member of Einstürzenden Neubauten. The Berlin listings magazine Zitty honoured her in a recent punk retrospective as did the CD/book project „Verschwende Deine Jugend“ (trans. waste your youth). She has released a pop album „Members of the Ocean Club“, is the musical part of a spoken word project with Canadian Myra Davies and is increasingly active in art exhibition projects. 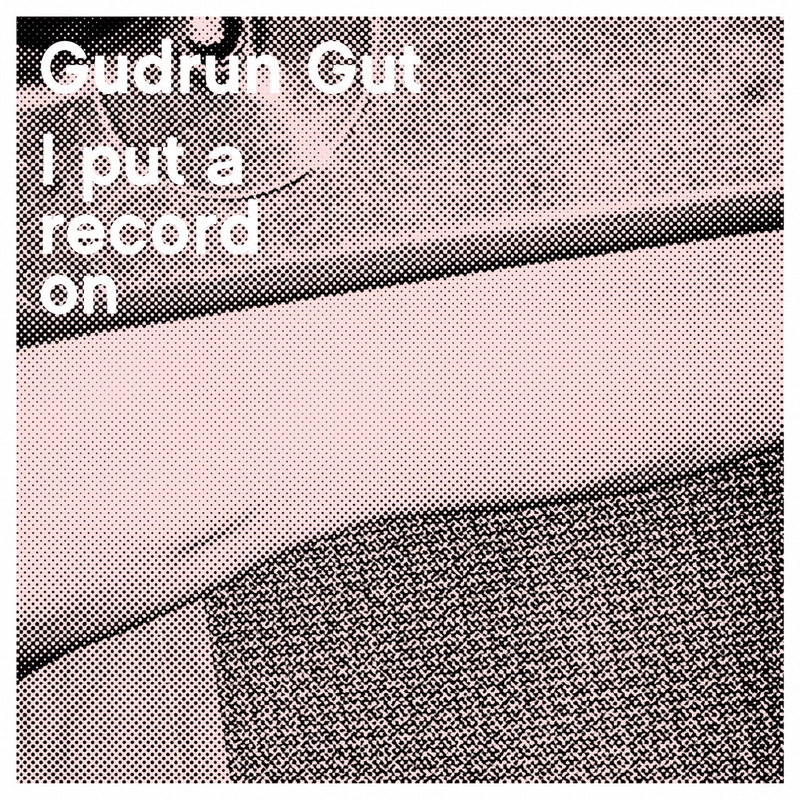 With so many references to her credit, it’s a wonder that „I put a record on“ is Gudrun's debut album as a solo artist - previously she has produced more as a team worker. That the album is coming out on her own Monika Enterprise rather than any big label makes it all the better.„I put a record on“ takes its time. An atmosphere is delicately built up which despite the albums great diversity is never lost. Quite the contrary: the listener is unconsciously pulled along into the moods and associations evoked by Gudrun Gut and the way she plays with different sources. Gudrun's prefered style is a kind of minimal techno wih a warm sound and a dark tembre. Titles such as "Rock Bottom Riser" or "Last Night" are swinging mid-tempo numbers. "Move Me" is a club compatible cross between Polka and Tango, while "The Wheel" is some kind of hip-hop fairy tale. The whole thing has a hypnotic flexibility and nonchalance. The tracks are loop orientated and disarmingly concise, on top of which almost every track undergoes a continuous, hardly perceptible mutation - this really shows the artists cunningness. „I put a record on“ pulsates in imaginary black light. This quiet stillness gives the album a lascivious quality which is reinforced by the way Gudrun Gut's voice mumurs in one's ear. If you've ever heard Oceanclub Radio you will know about this.The opener "Move Me" was released as a 7inch on Earsugar Jukebox and caused quite a stir everywhere from the Wire magazin to Martin Gore. Rock Bottom Riser - a cover version of a Smog tune - came about during office hours with monika associate Uta Heller: a spontaneous sing along in the monika office, and the recording was finished off with Matt Elliot singing the male vocal. Malaria!- and Matador-companion Manon P. Duursma guests as co-writer of the dub-blues tracks "Pleasuretrain" and "The Wheel". And the original version of „Girl Boogie“ already appeared as a contribution to the „Girl Monster“ Compilation on Chicks On Speed Records. The album was recorded and produced by Gudrun Gut while her Oceanclub colleague Thomas Fehlmann mixed some tracks. As a visual bonus, the CD also contains an edited version of the video „Celle“ taken from the Guatarist installation, which Gudrun Gut did together with celebrated artist Pipilotti Rist for the Sonambiente Festival in Berlin, 2006.Experienced musician Gudrun Gut allows her new album to radiate with beautiful melancholy like a strong perfume. „I put a record on“ is an invitation to let oneself fall backwards into her warm pulse.